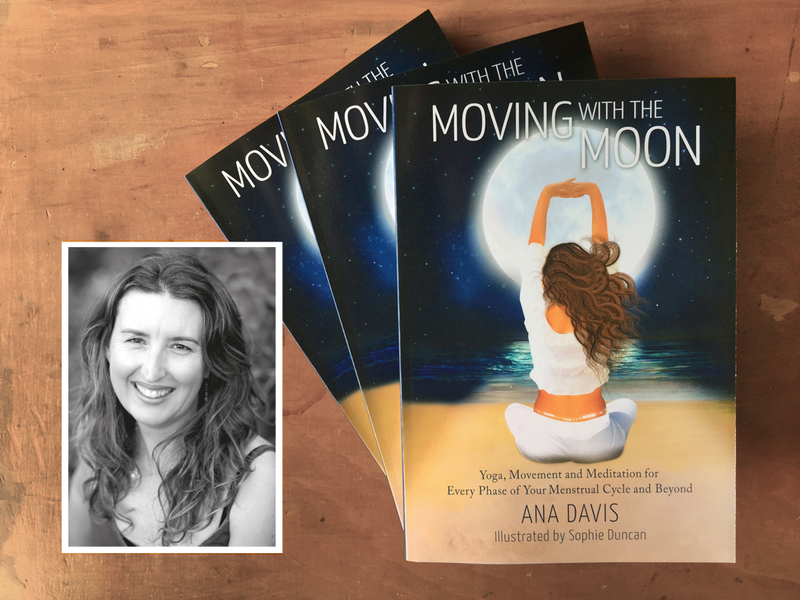 In late-2018 Ana Davis released her first book, ‘Moving with the Moon – Yoga, Movement and Meditation for Every Phase of your Menstrual Cycle and Beyond’. This book has been a deep passion project for Ana for many, many years. She has put immeasurable amounts of time, love, dedication and research into creating this yoga and health ‘bible’ for women, because she felt that this valuable information needed to be shared – and Ana is now so thrilled to be able to celebrate the birth of her first ‘book baby’ with you all! See locations, dates and details below for Ana’s Book Launch Events, where she is looking forward to meeting you and introducing you to ‘Moving with the Moon‘. Meet Ana Davis, author of Moving with the Moon: Nurturing Yoga, Movement and Meditation for Every Phase of your Menstrual Cycle and Beyond in this special New Zealand launch of her new yoga ‘health bible’ for women. As part of the launch-party, Ana will give a talk—‘What is Moving with the Moon?’—introducing her unique approach to Feminine Yoga and explaining how to understand the unique four phases of your menstrual cycle. There will be chai and nibbles and the opportunity to purchase a signed copy of Ana’s groundbreaking new book. The talk will go for about an hour and will include the opportunity for Q&A with the author. Click here to join our Bliss Baby Yoga mailing list to receive updates regarding new workshops, courses and offerings from Bliss Baby Yoga, and to receive Ana Davis’s free E-book “Moving with the Womb: Keys to a Feminine Yoga Practice”. Ana discusses the importance of educating ourselves (and those around us) as women about the changes and ‘rites of passage’ that characterise menstruation and menopause, and also gives an overview of how yoga can support us through the four phases of the menstrual cycle and during the little-talked-about phase of perimenopause (the lead up to menopause). Grab a cup of tea, put your feet up, and enjoy. Moving with the Moon‘ introduces Ana Davis’s uniquely feminine approach to yoga and is the complete guide to yoga for your menstrual cycle and menopause. This comprehensive ‘health bible’ for women will help you fall in love with your monthly and life cycles. It showcases a huge repertoire of yoga postures, sequences and tips on therapeutic modifications and prop use, all overlaid with a passionately nurturing and self-sustaining approach to yoga and self-care. Learn about the four phases of your menstrual cycle and the particular yoga practices that are beneficial for each phase. Plus, Ana provides an in-depth discussion of various menstrual imbalances—endometriosis, fibroids PCOS, PMS, heavy/painful/ absent periods—and delves into the principles and guidelines of yoga to support you through the challenging phases of perimenopause and menopause. This is a must-read for any woman seeking to boost her health, energy and vitality though the powerful tools of yoga, movement, meditation and mind-body therapies. 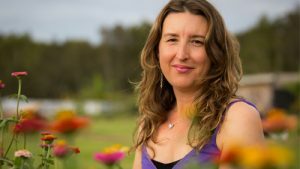 Ana Davis (E-RYT 500, RPYT, Yoga Australia Registered Level 3 Senior teacher, qualified Doula, Dip. Remedial Massage, B.A. Honours) has long been passionate about exploring the benefits of yoga and meditation for women’s monthly and life cycles. Ana has been a keen yoga practitioner since 1990, teaching yoga since 1996, and in 2005 founded Bliss Baby Yoga – offering specialised yoga teacher training courses in the areas of Prenatal, Postnatal, Restorative and Women’s Yoga. In 2013, Ana also founded Moving with the Moon which offers workshops and classes on yoga for the menstrual cycle, menopause and fertility. Ana’s first book “Moving with the Moon: Nurturing Yoga, Movement and Meditation for Every Phase of your Menstrual Cycle” was released in late-2018, now available in print-book and E-book formats. Ana is a lead teacher on our Online Prenatal & Postnatal Yoga Teacher Training Course, Online Level 1 Fertility Yoga Teacher Training Course, and Online L1 Restorative Yoga Teacher Training course.